While goal setting is a wonderful tool to boost motivation, it also comes with a whole host of potential pitfalls. So how do you sidestep the sabotage and set yourself up for success? ✔︎ Weight loss being the most set (and failed) New Year’s Resolution. ✔︎ Using “Whole Person Goals” to become more holistic. ✔︎ How Libby pulled herself out of “scales sabotage”. ✔︎ Turning holistic goals from “airy-fairy” to “solid-as-a-rock”. ✔︎ Lib and I setting a Whole Person goal for fitness in real time. ✔︎ How to break big goals into bite-size milestones. ✔︎ The important – but often overlooked – tool for following through with goals. ✔︎ Lib and I setting a SMART goal for her return to work in real time. ✔︎ The folly of setting short-term goals that undermine long-term success. ✔︎ Libby’s philosophy of a “healthy life culture”. ✔︎ The Neverending Story and Falcor the Luck Dragon (you’ll have to watch)! ✔︎ My deep belief that EVERYONE can do this process. ✔︎ How The Biggest Loser contestants have benefitted from focusing on their values. ✔︎ Unlocking powerful internal motivators you already have inside you. If you loved this chat and feel like you need a helping hand to fully experience the benefits of achieving your goals for yourself, we have a 4-week fully online program that will help you say goodbye to sabotage, set and REACH your health, wellbeing and success goals, and live out your values every day. 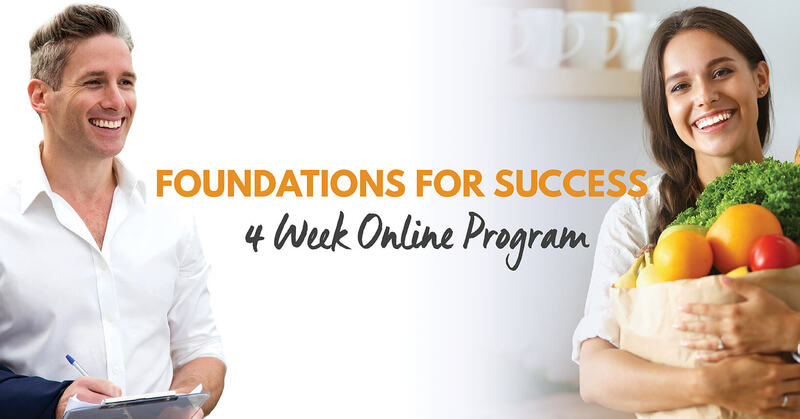 Foundations for Success is the first program of the Twelve Month Transformation Online Program, which combines 5 programs to help you use the power of psychology to completely transform your eating, physical activity, weight, and body-image, so you may like to really commit to transforming by signing up for the whole program! Hey Buddy!, I found this information for you: "Sidestep Sabotage & Set up for Success (Interview with Libby Babet)". Here is the website link: https://www.weightmanagementpsychology.com.au/sidestep-sabotage-and-set-up-for-success-interview-with-libby-babet/. Thank you.